All-purpose ride with medium pitch. 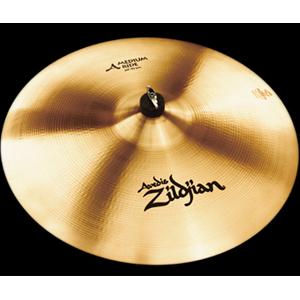 The Zildjian A Series Medium Ride gives you an all-purpose ride cymbal with medium pitch. Cast from a special bronze alloy, symmetrically machine hammered, and lathed with a traditional wide groove. These are cymbals with a classic yet expressive voice. Discover why A Series Zildjians are the world's most popular and most versatile cymbals.